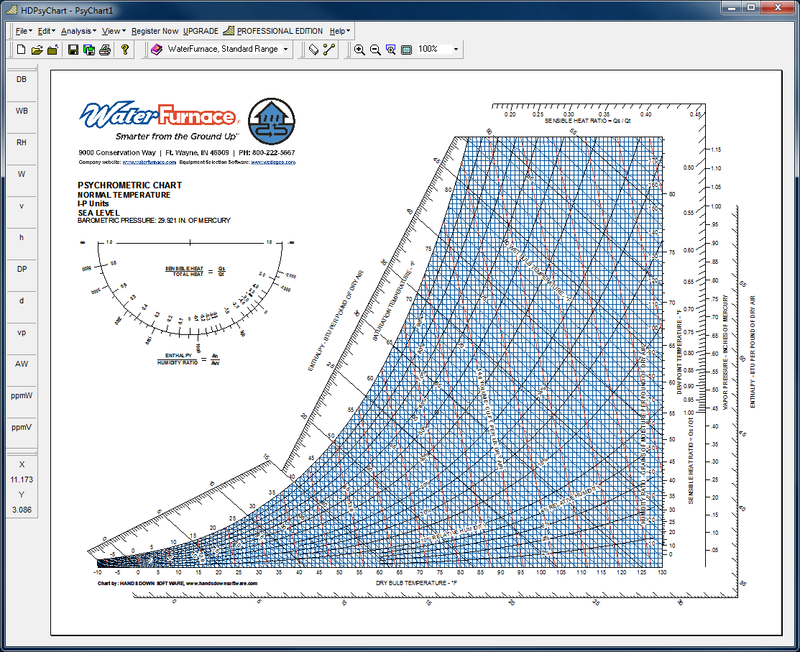 WaterFurnace offers a free psychrometric chart software called WFI HDPsyChart that produces high quality psychometric charts. The charts are drawn with the un-matched accuracy level of the HDPsyTech DLL engine. 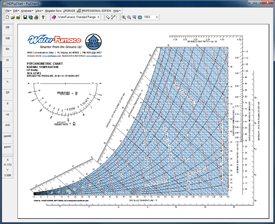 WFI HDPsyChart provides complete psychrometric and process analysis, graphically displayed on charts with pinpoint accuracy. HDPsyChart also provides a professional state point and process report detailing all of the psychrometric and process values. Both IP and SI units are fully supported by HDPsyChart. Click the link below to download your free copy.